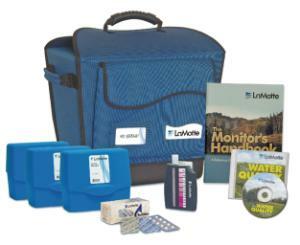 This comprehensive kit includes everything needed to develop a curriculum and conduct studies in monitoring water quality. Comprised of two components, The Water Quality Educator and The Water Quality Monitoring Outfit, this kit is available as a complete set or individually. The Water Quality Educator contains an interactive CD-ROM (PC and MAC compatible) and a 64 page Monitor’s Handbook that provide substantial classroom, laboratory, and field support for testing procedures and activities. The Water Quality Monitoring Outfit contains seven individual test kits for testing pH, Dissolved Oxygen, Nitrate, Alkalinity, Phosphate, Turbidity, and Temperature. Each test can be repeated 50 times, excluding pH and temperature, which can be tested 100 times and unlimited respectively. Individual test kit reagent refills are also available. 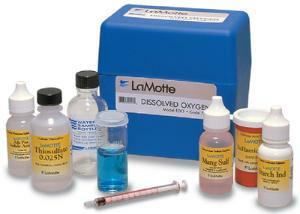 Ordering information: This kit includes material for 50 tests.